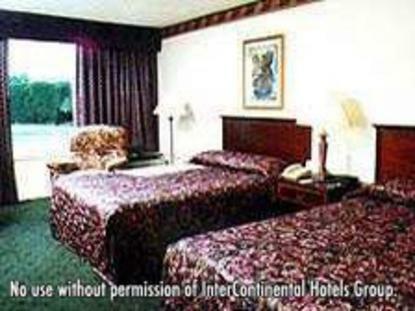 Welcome to the award winning Holiday Inn Harrisburg/Hershey Hotel, conveniently located 8 miles north of Hershey and east of Harrisburg at Exit 80 off Interstate 81. The Holiday Inn is in the heart of Central Pa Attractions. We are adjacent to Hollywood Casino and Penn National Thoroughbred Race Course and nearby points of interest like Hersheypark and the Harrisburg State Farm Show Complex. The Harrisburg International Airport and the PA Turnpike are a short drive away. We take your stay seriously, but we do know how to have fun too The whole family can enjoy our famed indoor recreational facility During the warmer months, our outdoor pool is always popular.We have two diverse restaurants that we are sure you will enjoy We promise the experience will be memorable The Great American Grille offers a casual atmosphere where you can enjoy a meal near our fireplace. We offer a variety of traditional American dishes, but we prepare them with a unique twist that we are sure you will enjoy The Winner's Circle Saloon is home to Buffalo Bob's Famous jumbo wings and award winning chili. The saloon is more than a restaurant we are the area's original country nightspot featuring live bands. We have the perfect location for you to hold a meeting, banquet, or convention. We offer all the services and support you need to make it a success. This hotel is committed to providing accessible facilities under the American Disabilities Act. If your accessibility needs are not met, please contact the Hotel Manager on Duty. Should you require additional information regarding accessible facilities for guests with disabilities, please call 1-800-Holiday (U.S. and Canada) or contact the hotel directly. For the hearing impaired, TDD service is available at 1-800-238-5544 within the U.S. and Canada.